You'll remember a couple of weeks ago, I wrote about being able to spend your money on fun adventures occasionally, because you are usually frugal. Well, right now I'm writing this post in the beautiful country of Honduras. My husband, 14 year old son and I have been blessed to be part of a group of 100 doctors and dentists and their older children who have provided medical care and dental work for about 450 young men and women who could never afford it otherwise. It has been a life-changing experience for all of us. 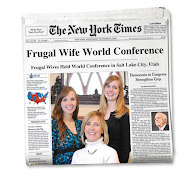 This is another reason to be frugal: so you can help others. Possibly it's the best reason. We've talked about being part of a group like this for over 20 years, and finally were able to make it a reality. I hope one day each of you has an experience like this in your lives. This has been a Thanksgiving we will never forget. In fact, we hope to participate again next year. It's been a busy 10 days of wonderful service where we truly received more than we gave. In that same mode, I'm sharing a great post from Get Rich Slowly of truly thoughtful and helpful (and frugal) gifts that can be given during the holiday season. I hope you enjoy these ideas as much as I did. Grandma probably doesn’t want another scented candle, but she could very well use a ride to the store. Your underemployed nephew would likely prefer a little help filling the pantry instead of a jokey T-shirt. And the sister who’s staying home with her kids may not be able to afford any extras just now. Instead of dropping $40 on a sweater, why not put that money toward a membership to the local museum? Oh that makes me so happy. I served my mission in Honduras and know how much the medical and dental help the comes means to the people. I knew a woman who wouldn't smile because she had lost most of her teeth and was so embarrassed about it. What places did you visit? I agree that being frugal so you can give is one of the best possible reasons. I truely believe that we have so that we can give. And even when money is tight and we don't have much to give, there is almost always time and talents that can mean as much as money. Carly: What an amazing mission that must have been! Our group worked a lot with the local sisters and elders while we were there. We did the dentistry in San Pedro Sula and then we spent the last day up near the Belize boarder, but I don't know the name of the little town. Thanks for letting me know you'd been there too!